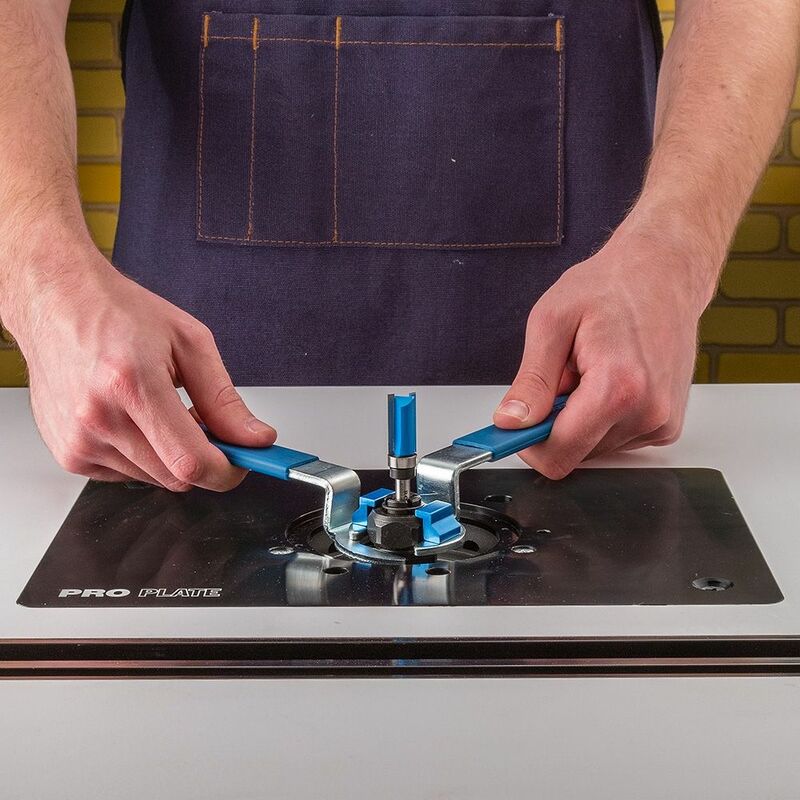 Offset ends reach below the table surface for easy bit changes without skinning your knuckles. 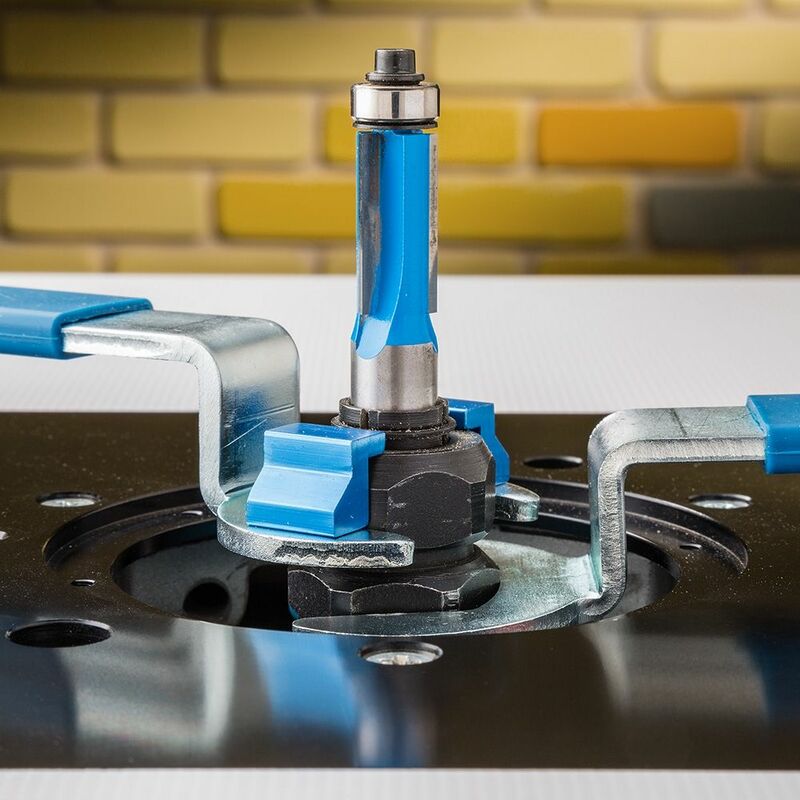 Change your table-mounted router bits easily and comfortably with the Rockler Offset Router Collet Wrenches. The wrenches are offset by 1'', which lets them reach through the table opening from the top down. Simply remove the insert ring and lower the wrenches through the opening. The integral aluminum catches on the top wrench help to prevent the wrench from slipping off the collet nut while tightening or loosening. With no need to fumble around beneath the table surface, you'll enjoy far better visibility. And since you are not confined by the housing of the router, your hands will have much more room to work. Soft rubber grips are easy on your palms. Very nicely built tools for there use and work the way they should. I like the offset in these wrenches. The wrench for the collet has the clips (don't really know what else to call them). This keeps the wrench from dropping off the nut and provides spacing between the top of the nut and the bottom of the cutter. Have a set for my Bosch and for my PC routers in tables. The soft handles are kinda nice too! These wrenches work great and make changing the bits in my porter-cable a breeze. These work great on my Porter Cable 690. Makes changing bits easy, highly recommended. Love ‘em. The first set I got were a hair tight on the collets so I had to use a file to ease them off a bit. Then when I started using them the top wrench slipped and one of the screws holding the blue things on broke. I called Rockler they sent me another set of wrenches ASAP. These wrenches are great and so much better than working blind on a router table. wrenches worked for my Craftsman router. I was unable to find wrenches for my Craftsman router so with the measurements from the description I was able to identify the sizes. One size was an exact fit while the other took a little grinding to fit. I am very happy with the results and now have good wrenches for my Craftsman router. Thank you. This set works perfect with my Bosch router/table! Couldn’t be happier!! These wrenches work a lot better than raising the router and using the striaght wrenches that came with my Mikita router. Makes me wish I would have thought of this. 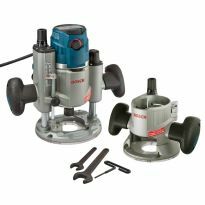 These wrenches are well-crafted and a pleasure to use for table-top tightening and loosening router bits. 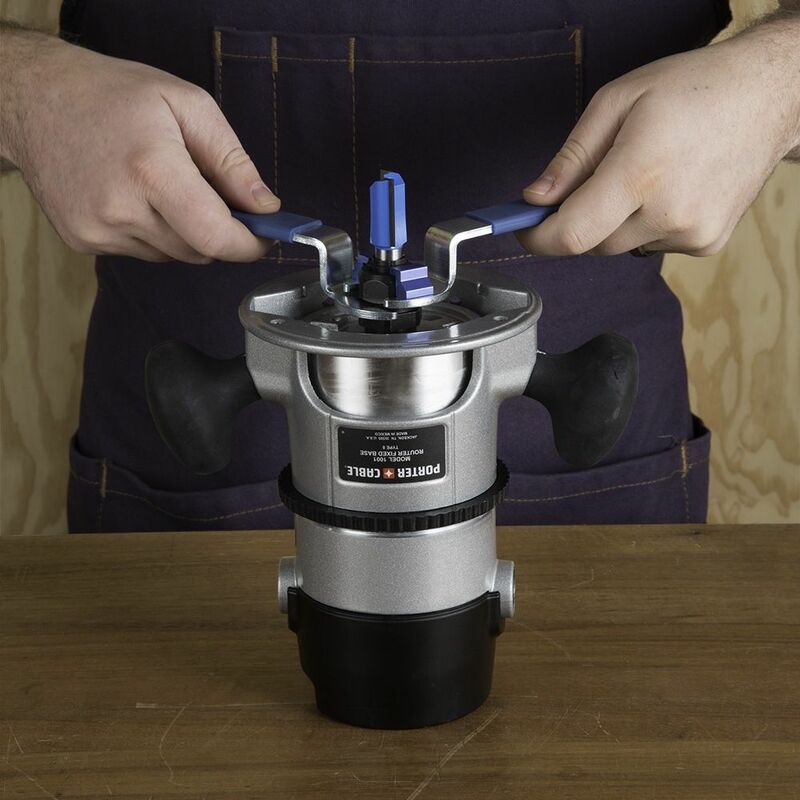 The collet wrench rotates easily over the other, so you never need to disengage a wrench. They eliminate the need to fuss with wrenches underneath the table. I am very glad I purchased them. Great set. Worked vert well. I thought the blue spacers were plastic because of the pretty color. Nope -- anodized aluminum. Very nice. These are sturdy and make changing the bit super easy. Excellent wrench set. More comfortable to use than the wrenches that came with the router. 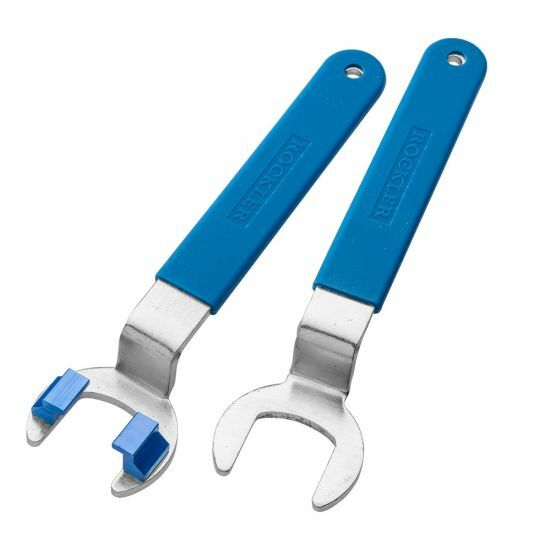 These handy wrenches make bit changes easy and safe. No more awkward reaching underneath to hold in the collet lock to change out bits on the DeWalt 618. Safer, faster, and more control. A must-have if you do alot of routing. Decent quality for the price... which incidentally dropped five bucks AFTER I bought them. I like the wrenches but i had to file them to fit the nuts on the collet. They were just a bit too small to fit initially. bottom one doesn't fit properly. had to file it to fit. Just bought a Porter-Cable router to mount in my router table and a new Incra II mount. Just finished putting together my Rockler router table. Will make changing bits easier. Saw it on Stumpy Nubs. I use Porter Cable routers with router tables daily. This seems easier than removing the router to change bits. Offset wrenches needed in router table. Needed it for the router table I purchased to make it easier to change bits. The wrenches that came with my Bosch router are knuckle skinners. This should help. HAVE A BENCH DOG LIFT AND THE COLLET IS HARD TO GET AT. I saw these used on a youtube video and I thought they would be handy. Mounted router on a table . need to change router bits that is mounted. These wrenches will allow me to change bits without the need to crank the router to the full extent of it's travel reducing the stress placed on the router lifter. Discontinued item for my Craftsman router but will fit my sizes needed. These should make switching bits easier on my router table. Set up second router/plate for a router table using PC router. This seemed like a good accessory for bit changes without removing the router from the table. 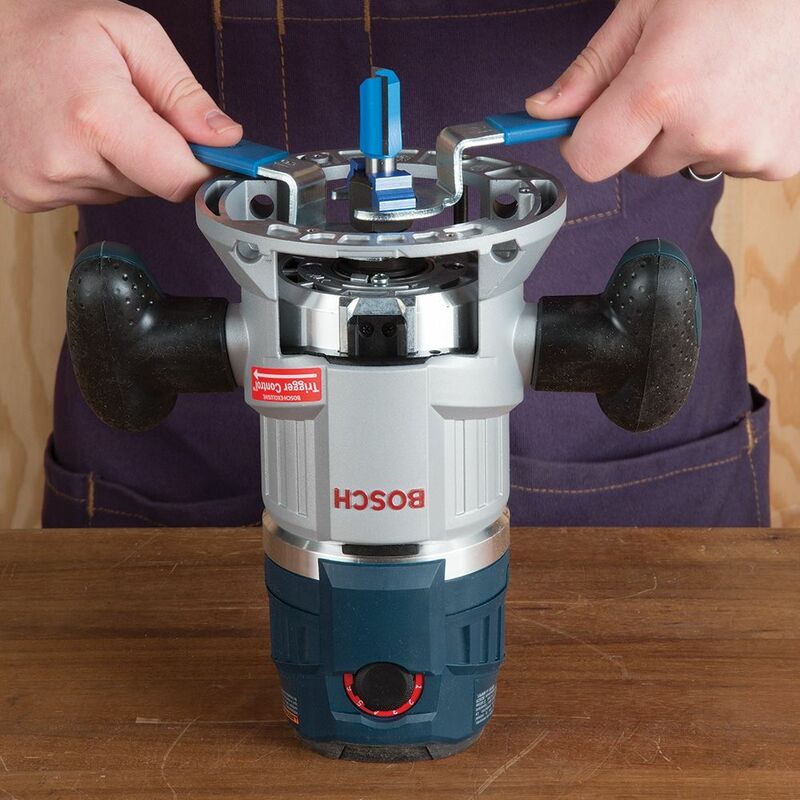 Smart design to make my router table bit changes easier. I got tired of skinned knuckles when changing router bits...I finally learned! To use on my router table. Hurt my knuckles once to offen. Easier to use than the stock wrenches provided. This will speed up the process of changing bits. Was ground zero here in the FL Keys for Irma. Lost almost all my shop. Bosch original wrenched were under salt water for a few days. I have been wanting these since I purchased the router table and lift. 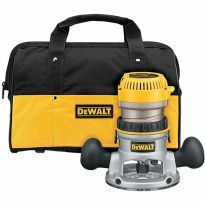 This says it works with the Dewalt router. I have a DW618, but my shaft only has one nut on it. The pictures show two nuts. When I change my bit, there's a "button" that I have to press in and then the nut will catch, and just one wrench will take it off or put it on. How would this work? 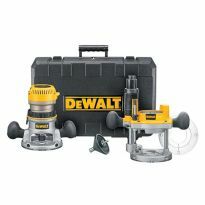 BEST ANSWER: I have the same router and use two of the standard 19mm/22mm wrenches from DeWalt just like these mentioned in the description for the DeWalt router. I never use the button to lock the router shaft from turning. My fingers don't have the strength to hold the button and keep the rouer from turning in my hand. That's why I bought a second wrench. But to answer your question, the shaft, where the button locks it, has two flat sides. I just slide the ?19mm? wrench over it and the other wrench over the collet. 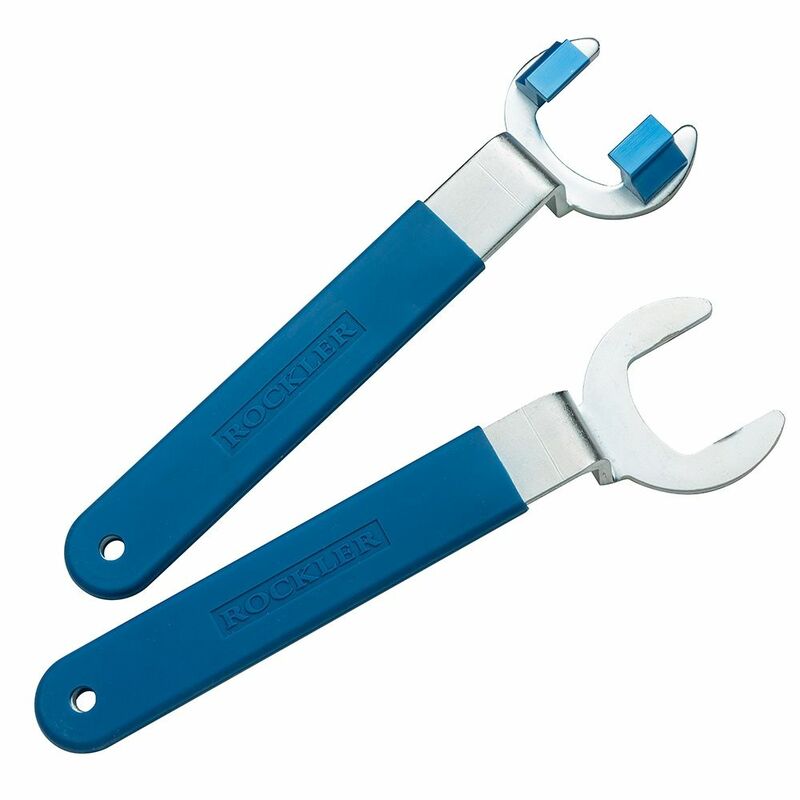 It appears these offset wrenches work in a similar fashion according to the pics provided by Rockler. Hope this helps. Which wrence will fit my Triton router? It says each is the $ 19.99 price for both wrenches (collet and nut??? BEST ANSWER: Yes the price for both wrenches is a total of $19.99. The wrenches come as a pair for that price. They work very well. Yes. Very time saving tool. Just make sure your set fits your brand of router. Yes, it is for both wrenches. how large of an opening in the router plate do these require? 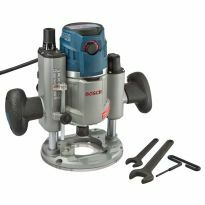 BEST ANSWER: I use the wrench set by raising the router, using my Rockler router raiser, up to .the standard 1.5” diameter bit opening. In that position the wrenches easily loosen and tighten the bit, without having to remove the center plate. My router is installed in a router table and the router plate opening (with the insert removed) is 3 3/4 inches and I use these wrenches with my Bosch 1617EVS. I don't know the exact size but they work well with my porter-cable 690 router. 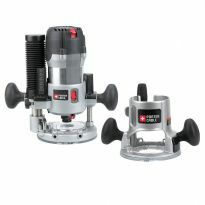 I have used them with router table setup from Jessem. Actually, I slip them under the plate to use them. Are the aluminum stops on the collet wrench removable? I need to also use it to remove a retaining nut on my Bosch to check bearings and the tabs would get in way. BEST ANSWER: The blue stops on our current inventory are mounted with Phillips-head screws. They appear to be. Each is held in place by two Phillips machine screws. Because another person replied claiming there were permanently attached, I figured I should double-check. I just called a local Rockler store this morning and the person who picked up just happened to have a set within reach (hows that for service?). He confirmed they are affixed with 2 screws each. Perhaps that person that replied has an older version where they were permanently affixed. As of Sept 2018, they are removable. I'm going to flag that other reply as inaccurate. Do these wrenches fit Triton routers? BEST ANSWER: What size is the collet nut and shaft on your router? I have a Porter-cable 690 on my table. If you get me the collet nut across the flats and the flats on the shaft I can measure the ones I bought. No this is for Porter-Cable 1 1/8 Triton is 15/16 . I have both routers. Sorry, I have no idea. I sure like them for my Porter-Cable router. Will 1 of these work with my hitachi router? BEST ANSWER: Sorry I don't own a hitachi router. But they work great on a 690 porter cable. 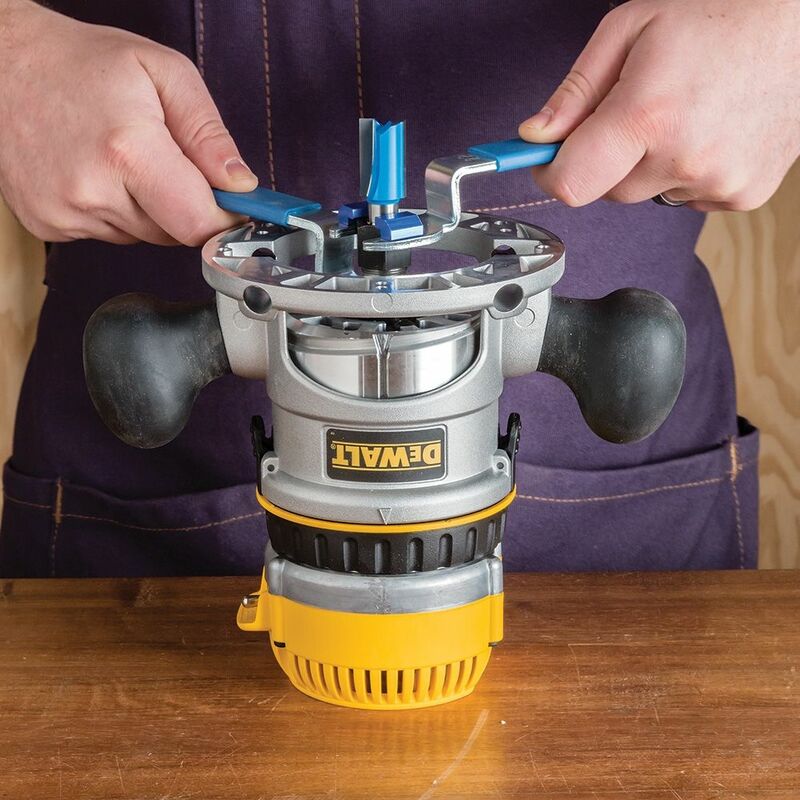 A Fixed Base or A Plunge Base Router - Which Should You Buy?